A few years ago I was at a major exhibition of bronze Sculpture in the Royal Academy. Going around the exhibition and Looking at each of the pieces in turn, I came upon a large bronze copy of Laocoon. Laocoon was the Trojan priest who tried to warn his compatriots of the potential danger from the Greek horse left outside the city walls. The bronze in the exhibition was a copy of an antique marble sculpture that was unearthed in Rome in 1506 and presumed to date from sometime after 200BC. 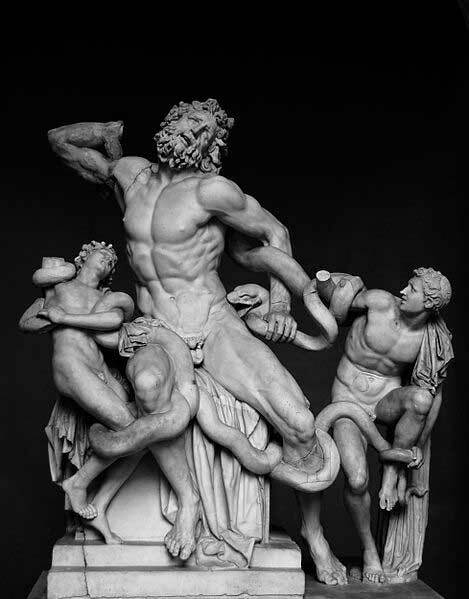 It’s a remarkable depiction of three writhing figures: Laocoon and his two sons Antiphantes and Thymbraeus as they are attacked by serpents. Excavated at the height of the Renaissance, it quickly became a major influence on the artists of the period. No sooner had I spotted the twisted torso when I also saw, directly between myself and the statue, a chap sitting down, furiously sketching as though his life depended on it. Clearly the sculpture had lost none of its visual appeal and I can remember thinking that this artist, even though I could only see him from the back, looked quite similar in appearance to ‘that’ Andrew Marr. 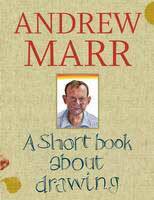 Then, about a year or so later, browsing in my local bookshop in Sevenoaks, I came across, ‘A short book about drawing’ by Andrew Marr. I took it from the shelf and, with poetic symmetry, the page fell open at a vibrant sketch of the Trojan and his two sons.